Bring the party home with our collection of metallic wrapped balloon weights. 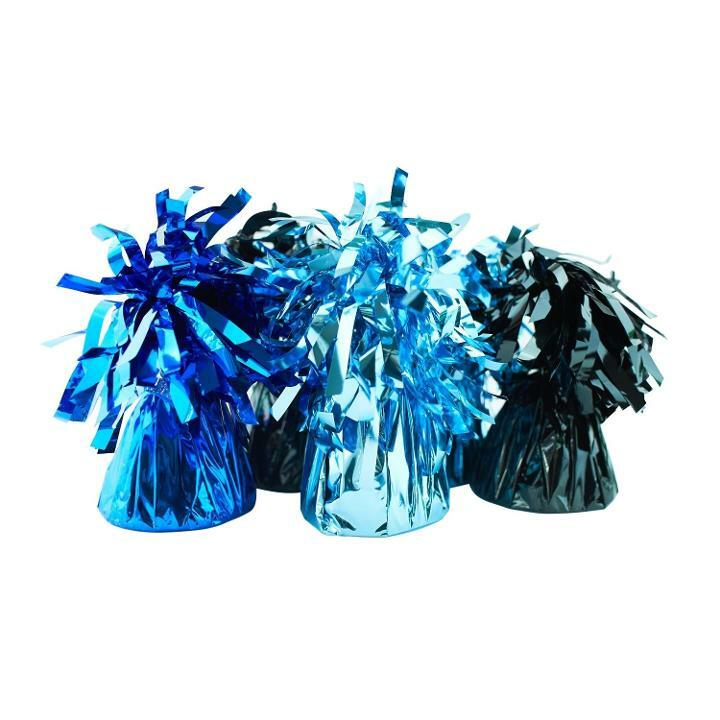 Available in a variety of colors, our metallic wrapped balloon weights are the perfect addition to any party or event - from weddings to birthday parties, banquets to corporate events. My husband and i used these balloon weights for our anniversary dinner and they were great! they held all of the Balloons to the table and didnt let them fly away! We recycled them to use as door stops for our store! Nice product, great quality! Went well with the gold/black and silver theme for a b-day party. Very affordable.